Join us for one of our VAEATS events coming up soon. It may be a food writing class, a field trip to take eats + drinks photos with your smartphone, an oyster + wine tasting tour, and more. Here’s what’s coming up – we hope to see you there! Whether you are a chef or a foodie looking to bring your recipes to a wide audience or a home cook hoping to pass down your dishes to your family’s next generation, Patrick Evans-Hylton will help you choose a theme and format for your cookbook. You’ll collect, select, and edit your best recipes, stories, and culinary anecdote while developing an introduction and headnotes and explore the use of food photography. In this class, we’ll also explore publishing methods and procedures, from the traditional route to blogs and social networking promotion. Classes meet bi-weekly, February 11, 25; March 11, 25, April 8,. 22. Let your tastebuds take off with Flight School With Patrick Evans-Hylton, exclusively at Waterside District. 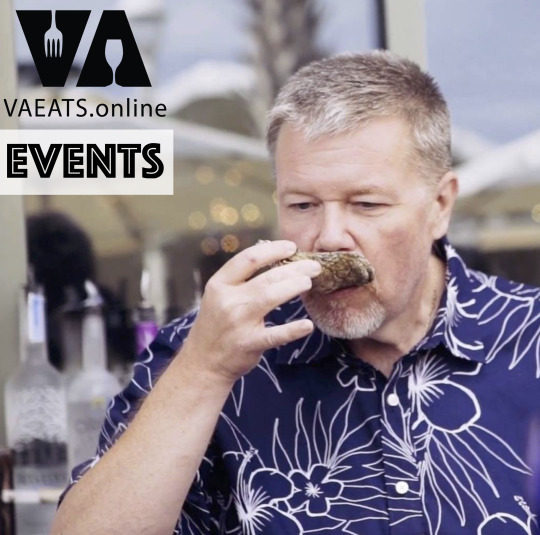 Each month join Virginia’s Secretary of Taste in a fun and informative look at some of Waterside’s delicious offerings with flights beer, oysters, wine and more. Evans-Hylton, a trained chef and publisher of Virginia Eats + Drinks Magazine, is your captain for a true first class foodie event.